Is Dental Implant Failure in Federal Way Cause for Worry? Dental implant failure in Federal Way is rare. On the occasions the problem does occur, it’s usually due to medical side effects, chronic health conditions, or lifestyle factors. You can maximize your chances of enjoying long-term success by living a healthy lifestyle and addressing any concerns you may have to your dentist. Side effects of unrelated medical treatments. Physical problems caused by a specific health condition. Your immune system is responsible for protecting you from harmful microorganisms. But sometimes the immune response can have unforeseen effects. For example, people with rheumatoid arthritis may suffer premature implant failure. Other conditions that can cause similar problems include lupus, celiac disease, type I diabetes, and multiple sclerosis. Another potential cause of implant failure is impaired blood flow to the surgical site, most often due to a clot. Your health professional can recommend ways to minimize your risk of clotting. Certain medications can interfere with dental implants. One example is bisphosphonates, a class of drugs used to treat osteoporosis. You may need to switch to a different medicine to avoid this complication. Radiation therapy is commonly used to treat cancer. High doses of radiation can sometimes impair an implant’s ability to fuse with the surrounding bone. Ask your treating physician how to reduce this risk. Failure to brush and floss. It’s important to brush at least twice a day. Your dentist will probably recommend a soft bristle toothbrush and a nonabrasive brand of toothpaste. Flossing daily is essential as well. Tobacco use. Not only cigarettes but pipes, cigars, chewing tobacco, and vaping devices can contribute to implant failure. Talk to your dentist about new treatment strategies that can help you to stay tobacco-free for good. Poor diet. Your body, including your teeth and gums, needs plenty of nutrients in the forms of protein, complex carbohydrates, and healthy polyunsaturated and monounsaturated fats. Vitamins and fiber are also essential to a healthy nutritional plan. Alcohol or illicit drug use. It’s important to consume alcohol only in moderation or avoid it altogether. Any type of illicit drug can make implant failure more likely. Physical inactivity. Exercise is an integral part of a healthy lifestyle. Sedentary habits can have negative consequences for your implants as well as your overall health. The vast majority of dental implants are successful. Talk to your dentist in Federal Way about any concerns you may have regarding this topic. 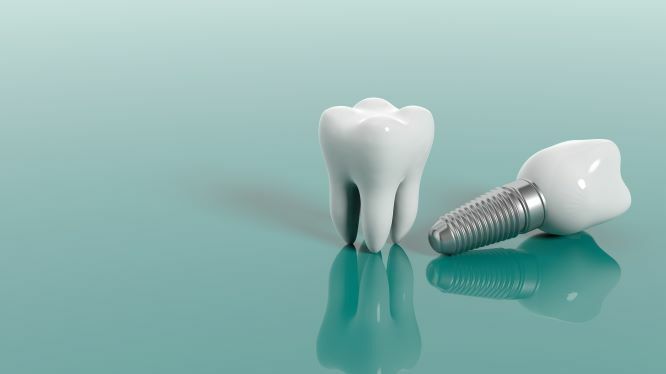 That’s the best way to ensure a successful outcome from your implant procedure. Dr. Drew Beatty was recognized as one of Seattle’s top dentists seven years in a row by Seattle Metropolitan magazine. Dr. Beatty earned his DDS degree from Chicago’s Northwestern University. You can reach his office online or by calling (253) 839-6544. Comments Off on Is Dental Implant Failure in Federal Way Cause for Worry?